Experience accordion music as never before! On-stage seating in the Foellinger Great Hall provides an intimate setting for this extraordinary experience. 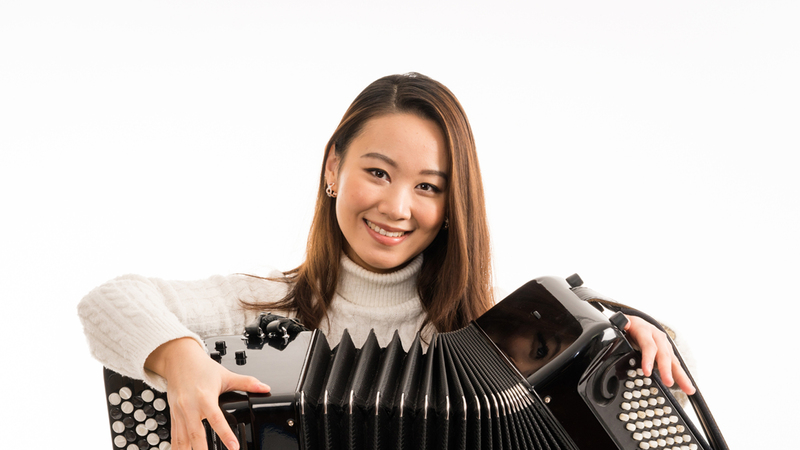 Praised for her engaging stage presence and performances that are technically and musically brilliant, Hanzhi Wang is the first accordionist to win First Prize in the Young Concert Artists International Auditions in its 57-year history of discovering extraordinary musicians. She will welcome young people into the world of accordion playing with a concert featuring music from Bach and Mozart, as well as contemporary selections such as The Little Match Girl from her new CD, In the Path of H. C. Andersen. Connects to Illinois Learning Standards in Fine Arts and Social/Emotional Learning.